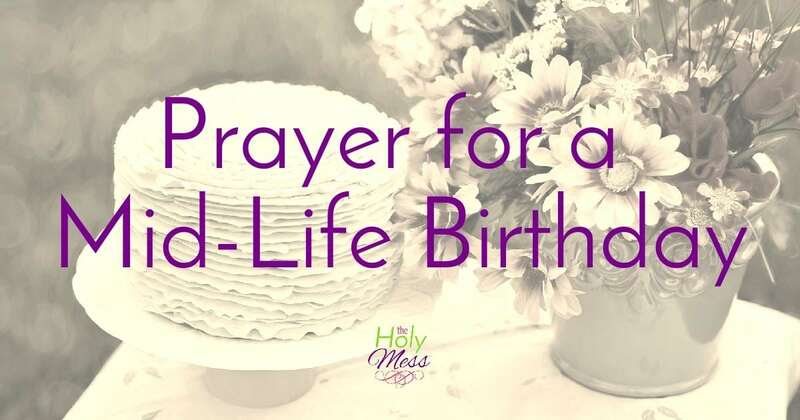 What are the blessings of a Christian life? What makes you different when you go through the tough stuff in life with God? 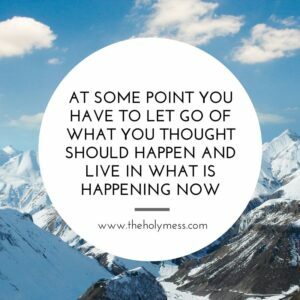 At some point, you have to let go of what you thought should happen and live in what is happening now. I saw this motivational quote roll across my screen yesterday, and it touched me deeply. I haven’t been able to shake it. The phrase is totally secular. It could be zen or New Age or a who-knows-what reminder to live in the moment. Living in the moment has its merits, but I believe in something greater. I believe in a God who transcends this moment, and the previous moments, and the ones to come. You can rest secure in every moment, not because you have yourself all zen and chilled out, but because God the Father holds every single one of them. 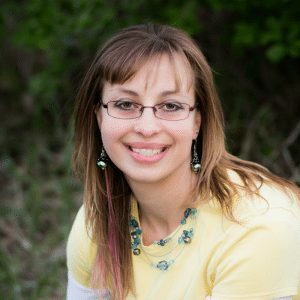 Do you have life junk that makes you keep looking back, regretting or questioning choices of the past? You didn’t want to have those extra pounds from Christmas and Thanksgiving. You didn’t plan to have financial debt. 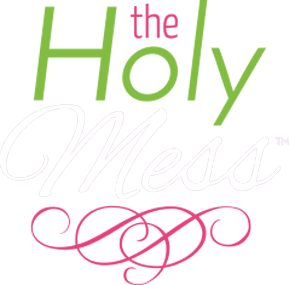 You weren’t accounting for so much clutter piled up around your house. You certainly didn’t anticipate some of these problems that seem to be lodged down tight in the throat of your life, refusing to budge. 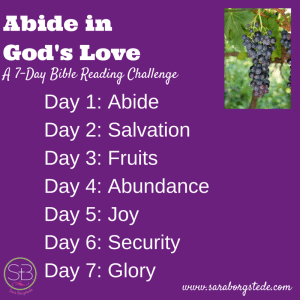 Last year I wrote this Bible study based on John 15, called Abide in God’s Love: 7 Days of Radical Blessings. We (we meaning really, my husband Mike who is very talented at this) put the whole thing together into book format, and it turned out so cool. It’s 32 pages and it’s now available at my shop. Yeah! 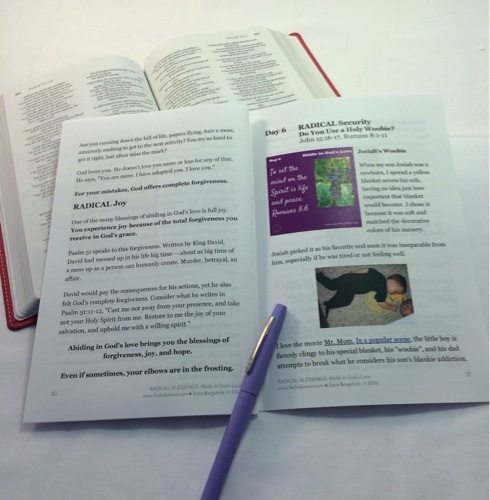 You can download it onto your smartphone or iPad and read it that way, or you print it and read it in booklet format. I like having it handy on my smartphone to pick up and read, and I also like the print version to use with my Bible for quiet times. 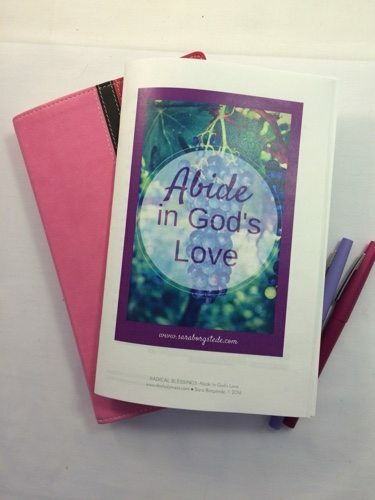 Click here to download your copy of Abide in God’s love devotional booklet. 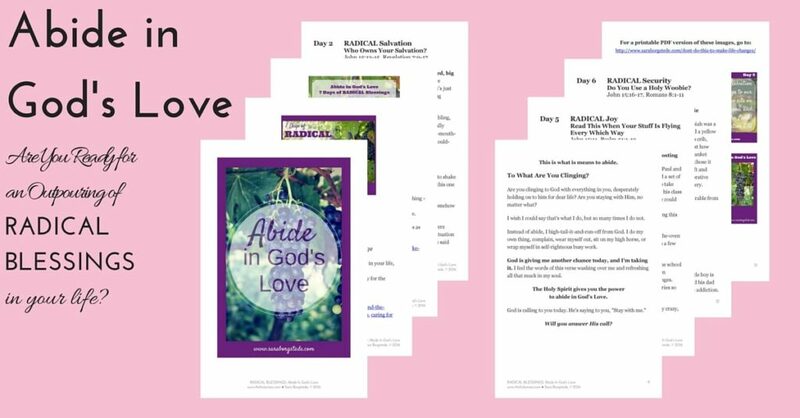 Are you ready to put away regret, fear, worry, and doubt, and experience the radical blessings God has in store for you? 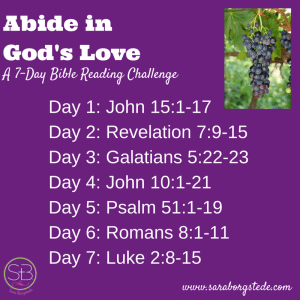 Download this 7-day Bible study devotion, Abide in God’s love: Radical Blessings.